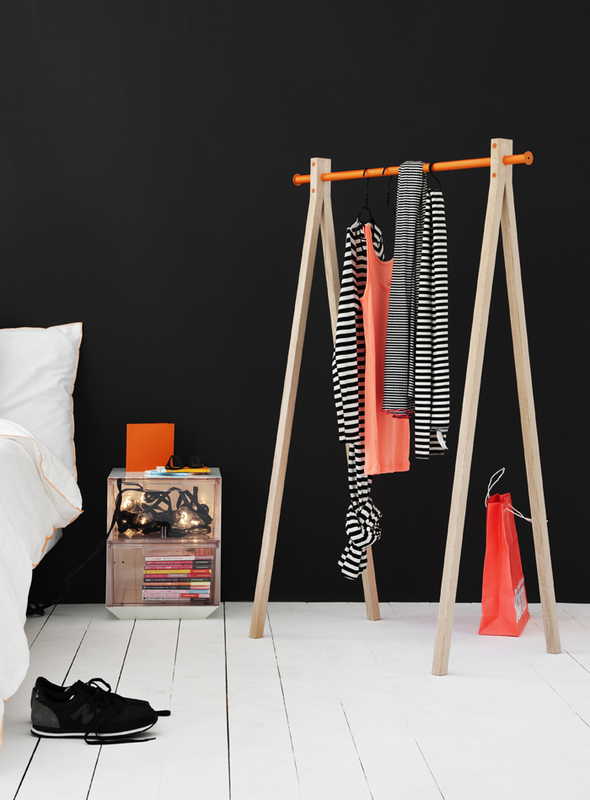 Stack it, store it, fold it, and hang it all with yet another Scandinavian design company we love. Nomess Copenhagen specializes in easy-on-the-eyes storage solutions, and here are just a few that tickle our collective fancy. 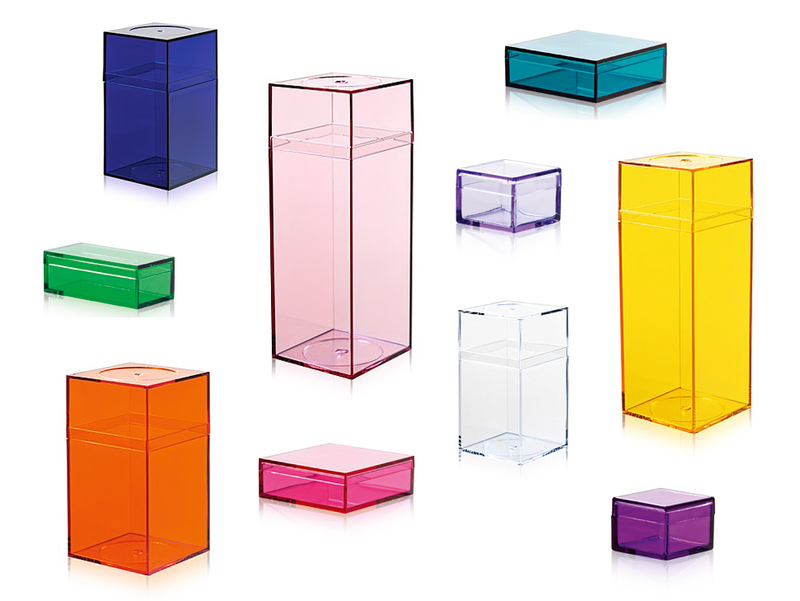 Balsabox is one of those containers: So simple, yet so perfect, and equipped with a gee-whiz factor (in this case a lid that can be completely removed, rotated, and put back in place as a vertical mirror). 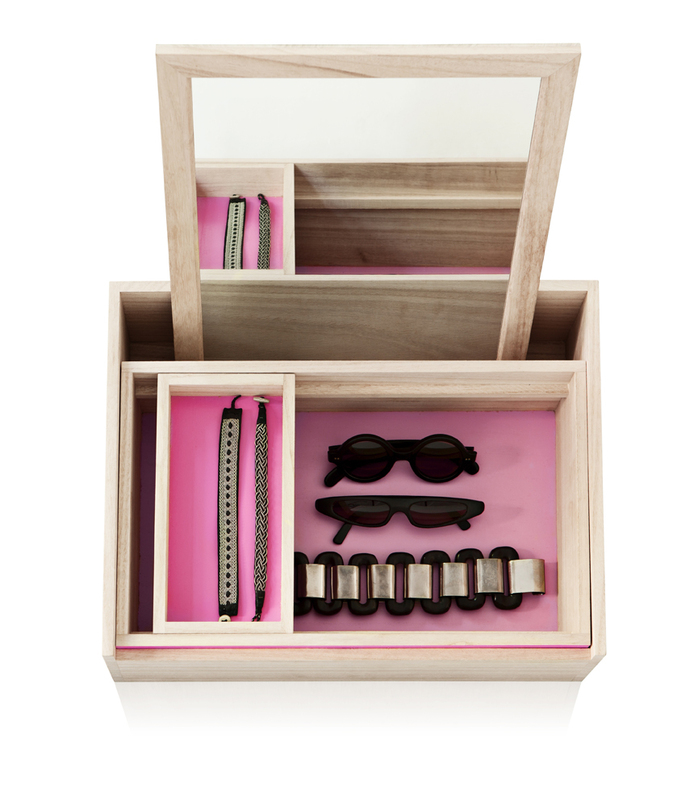 The bright pink interior spices up the wabi-sabi-esque balsa wood shell. US buyers can purchase in person or online at A+R. 4-Dots trestle table in natural ash wood with black stained split legs. The dots on top come in white or orange. Shown with Milky Boxes stacked at right. 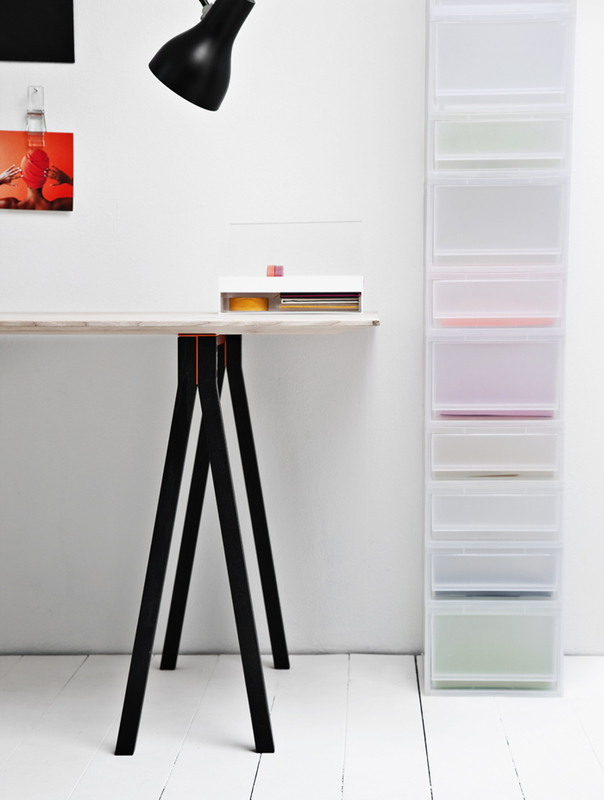 Check out the full Nomess Copenhagen site for more packable, stackable design products.